The innocence of our youth is not prepared for the storms of life that happen in the adult world. Our sheltered inner self looks only through shuttered windows. We peer longingly at the outside. We grow up sequestered and protected by those who love us. They provide for us. Gallant attempts are made by them to prepare us for adulthood. Our young soul is climate controlled. We live in a private and comfortable world called Peace. Life couldn’t be better. It’s not that we are rich or poor. It’s that we are loved and sheltered. As we grew older, we see those we know experience joy and sometimes even pain. We watch through the windows of our soul and see their successes and failures. We laugh easily with them. When they cry, we feel sympathy and even cry with them while they hurt. But still we don’t really know how they feel. We’ve lived a sheltered life. We are but young voyeurs gazing at those living life in the big world outside. With maturity comes the privilege of independence. We merrily launch out on our own. Our hearts are filled with faith and hope. We are thrilled to finally live in the adult world. Yes, we still have our little inner sanctuary. It continues to be our respite from the hubbub. We come home and shut it all out. The windows and shutters are still in place. We are at peace. Then news of an impending storm headed in our direction frightens us. We prepare the best we can, but we have no experience on preparing for storms. It makes a direct hit where we live. Our worst fears come true. It is fierce and powerful. The thunder is so loud and the lightning strikes too close for comfort. We huddle inside and pray for safety. The winds of Disappointment loudly howl and the debris of Heartache blows upon the windows of our soul. The outside noise is deafening. A crash is heard. A window is broken. Shards of glass remain around the frame as a stark reminder of what used to be. Two windows are shattered, now a third one. Glass is everywhere. The flying glass cuts everything it touches. Oh how the wind howls! For the first time, the storm of the outside world has gained access to the inside. The sheltered world of Peace has disappeared, all because of the broken windows of the soul. Never before have we felt this vulnerable. Winds continue to swirl around the room. Treasured knickknacks and sentimental photos are knocked over. Rain blows violently in with the wind. The carpet and furniture are soaked. The lights go out and stay out. The air conditioning goes off. Desperation takes over. The contents of the house are at risk. Everything of value must be protected. It is now at the mercies of the elements. The phone is dead. No outside help is immediately available. The temperature is hot and it’s still muggy. Sweat runs profusely. It is impossible to find Comfort. Now what? After the wind finally settles down, the rain settles in. A few boards are found in the garage to cover up the broken windows. The windows are boarded up from the outside, even though it means getting soaked standing outside in the rain. The covered windows are now dark. No light comes in from the outside. Looking at the damage done in the rooms, we find pieces of debris that broke our windows. A chunk or two of Gossip sits by a piece of glass under the window. Splinters of Disappointment are scattered everywhere. A pile of Pain is strewn around the easy chair, staining the carpet. It looks like Failure probably did the most damage, but we can’t be sure until the Adjuster get here. We busy ourselves trying to mop up and salvage what we can. In our efforts to survive the storm, we realize we tried to block out the noise of the outside world. With a trash bag of broken things, we head for the backdoor. When we step outside, to our surprise, we see the rain has stopped. The sun is shining almost apologetically through the clouds. Over there, to the west, is a big beautiful rainbow. It’s over, the storm is over, and God’s promise is still on display. Hope struggles free from the grasp of Fear. Down the street a few friends and neighbors are seen coming. They saw what the storm did, and they want to help. They have their work clothes on and are carrying some tools with them. With looks of concern that only friends can have, a couple of them run toward the damage. The broken windows of the soul will soon be repaired with hands of love. « The Best Thing I Can Do For You Is To Love You. Tears flowing here. Still picking up the pieces and waiting for the sunshine. Thanks for reminding me that it will be there. This is great Marty. I’m sure it will minister to many. I couldn’t help but get emotional as I read this. 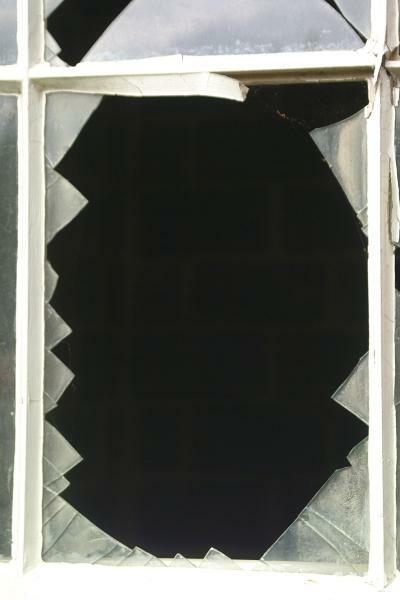 Everyone of us can relate to broken windows in our soul. The way you described the soul and the storms of life is incredibly vivid. I love the part where others, seeing the broken windows, came with their tools to help repair the damage. Those of us who have been in that situation before are very aware of the pain and damage the storms of life can do, therefore we are much more able to recognize the distress in others, and are willing to help. Thanks so much for writing. That was beautifully articulated Elder! Could not have been better. And it is always reassuring that God will be there for you to see it through. This is so incredibly well written. Like Sis. Nila stated, your descriptions are so vivid. Please, write a book!! Your blog posts are incredible, timely, and minister so powerfully to my soul.